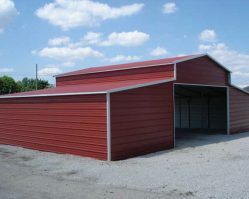 Regardless of what your steel buildings needs are, we probably have a structure to fit exactly what you’re looking for. And if not, we can custom build whatever special design you have in mind at very reasonable prices. Customer satisfaction of their steel building is priority #1 at Salem Structures. We aren’t happy until our customer is happy. We think you’ll love our service, our prices, and most of all, our high quality products. 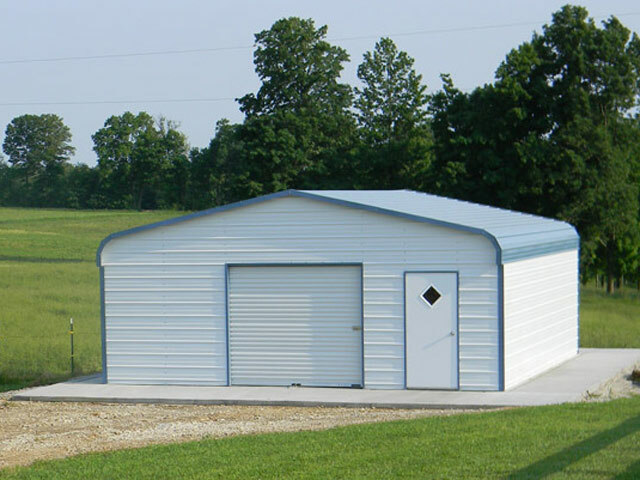 Our steel garages & custom building structures will come delivered and assembled for placement in your driveway, yard, pasture, or an already prepared foundation [not included]. Customers love our extensive selection of wood and steel building solutions. Come and visit us at our Salem location to see why we are growing FAST! 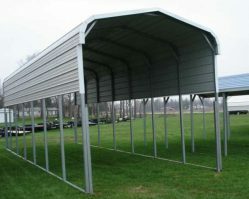 Our new steel building line is extremely cost effective due to the pre-manufactured and portable nature of these types of structures. 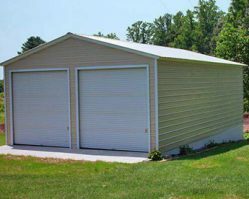 Specifically, the standard and RV storage carports could be disassembled and moved to another property if you ever need to relocate, or even sold and moved to another homeowner’s property if you ever need to downsize. We offer 4 different building anchor options to secure your new steel structure to the ground. You can choose Pin Rebar which comes standard (a steel reinforcing bar placed in a pre-drilled hole at the base rail), Concrete Anchors (for cement installations), Asphalt Anchors (for asphalt installs), and Mobile Home Anchors (used primarily for bare ground installs). Each of these metal structures is constructed with 29 gauge steel. The building frame is either 12 or 14 gauge galvanized steel. The thicker, heavier, stronger 12 gauge steel costs a little extra, but it comes with a 20 year warranty against rust. While the 14 gauge is more affordable, it only comes with a 1 year warranty on rust. 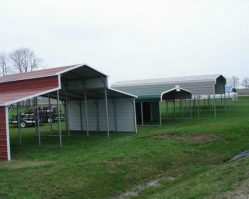 For more information you can also check out the manufacturer’s site for our steel structures and carports.